Happy Frugal Christmas! 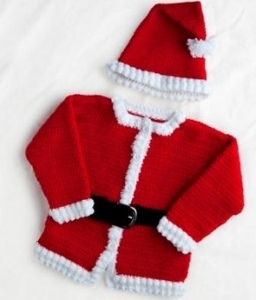 : CROCHET A SANTA SUIT FOR YOUR FAVOURITE LITTLE BABY! CROCHET A SANTA SUIT FOR YOUR FAVOURITE LITTLE BABY! This cute free pattern for a Santa outfit to crochet for your favourite little person is just irresistible - and you still have time to make it! Check out my growing collection of patterns for crochet and knitted gifts!